The Greater Racket-tailed Drongo (Dicrurus paradiseus) is by no means a dull bird in character. In fact it is one of the liveliest bird around, with the ability to mimic and create a variety of calls and sounds. It has been suggested that it’s ability to mimic other birds, serves the function to create mix-species flocks. The purpose being to steal food (kleptoparasitism) from the member of the flock or to find insects disturbed by other foragers around. In Singapore, they have been observed following macaques around, probably gathering food or insects disrupted by the activity of these primates. There are many other stories about this very interesting drongo, that I will leave for another time. Today the attention is towards photography. And unfortunately for the drongo, it’s a rather neglected species photographically. Its plumage colour is a glossy bluish black. That alone is a turn-off for many photographers who would gladly choose more colourful birds. The other thing is that it has a distinctive, long outer tail shafts ending with twisted pendants. That is a very attractive feature, but is challenging composition wise to get a ‘balanced’ picture, without it being blocked or cut off. So what are the so-called features of a good bird photo? The answers are varied and for every feature I say is good, someone is bound to disagree. But generally, a few things normally stand out. This entry was posted in Birds, Wildlife and tagged Greater Racket-tailed Drongo, jelutong tower, Mount Faber, sime forest on July 26, 2014 by Francis Yap. The Spiny Terrapin (Heosemys spinosa) or Spiny Hill Terrapin or Spiny Turtle is a globally endangered species of forest terrapin. It normally inhabit rainforest near shallow, clear streams. Normally it camouflage itself well among the leaf litter and can be more easily spotted once it moves. It is named as such because the juveniles have a carapace which is heavily serrated at the margin. As it grows older, this is worn down. So one can tell whether it is a juvenile or adult by looking at the extent of the spines. The purpose of the spine is believed to be defensive in nature, so as to prevent predator from swallowing it whole. Perhaps as it grows older and bigger, such spines are no longer essential. 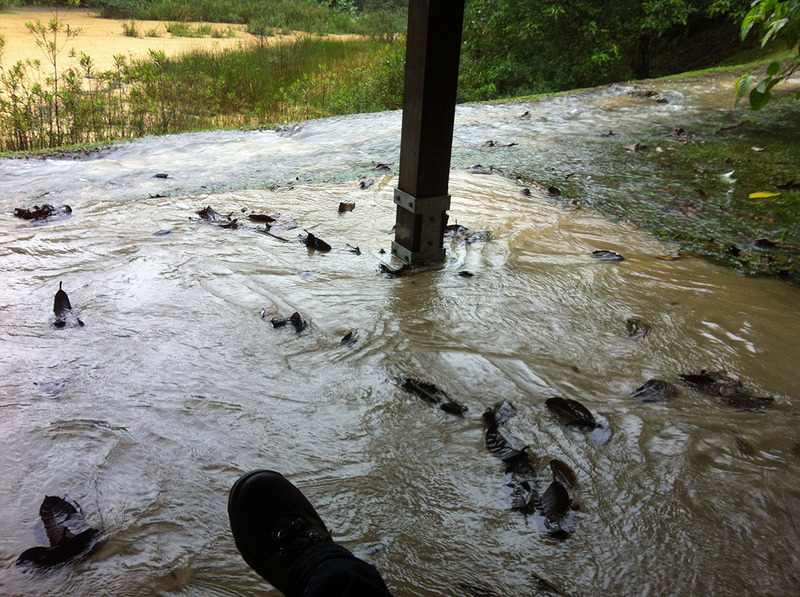 On a very wet day at Sime Forest in July 2012, I had the misfortune to have the main exit from the trail flooded. Even after the rain subsided, the stream was too overflowing with water to cross safely. So I decided to make a long detour to another exit. This entail climbing up a hill and descending. It was not a pleasant thing to do, considering that the descending part was waterlogged as well. This entry was posted in Reptiles, Wildlife and tagged sime forest, Spiny Hill Terrapin, Spiny Terrapin, Spiny Turtle on July 14, 2014 by Francis Yap. A walk to west side of Pulau Ubin yielded another larger sized butterfly. 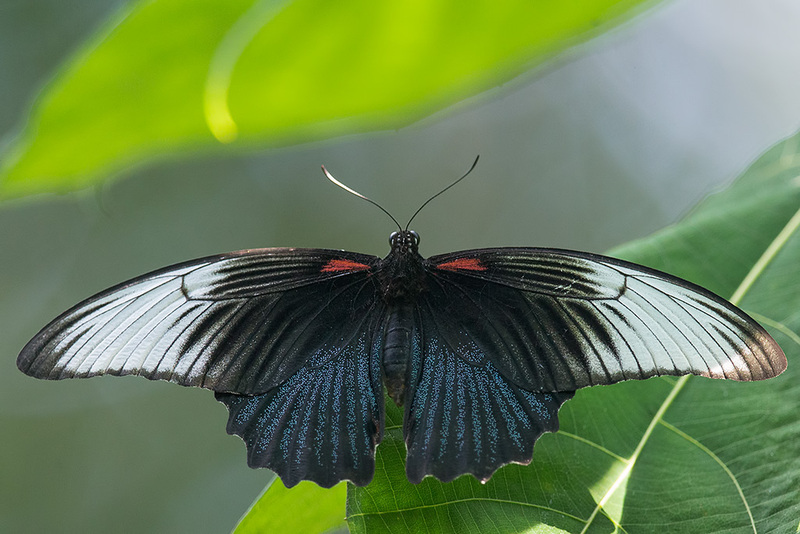 The female Great Mormon (Papilio memnon) has many forms. This particular specimen is of the esperi form which is the predominant one in Singapore. This entry was posted in Butterflies, Wildlife and tagged jelutong tower, sime forest on May 25, 2014 by Francis Yap.